Entry image Walimai.photo, "Security (37:365)"
Eric Odynocki enjoys being a student at The Hudson Valley Writers’ Center. He is a first-generation American who grew up in a multicultural household: his mother is Mexican and his father was Ukrainian and Jewish. 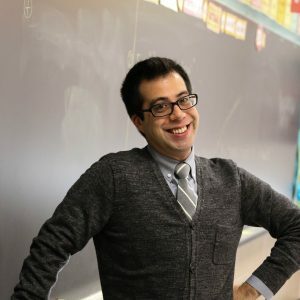 Eric holds a BA/MAT in Spanish Language and Literature from Stony Brook University and lives one of his childhood dreams of being a teacher. Thus far, Eric's work has been published or is forthcoming in Acentos Review, In Layman’s Terms, Obra/Artifact, and the Westchester Review.